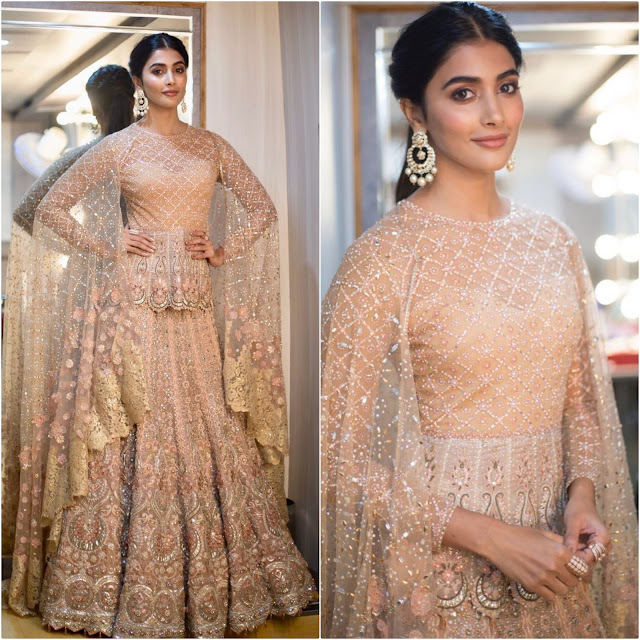 It was a Tarun Tahiliani lehenga for Pooja while at the Zee Golden Awards 2017 held recently. Wearing her hair partially pinned back, the actor rounded out her look with jewellery from Gehna Jewellers. Can’t fault anything here, the actor looked lovely! You look so elegant and amazing in this dress!! The details are just mesmerizing.